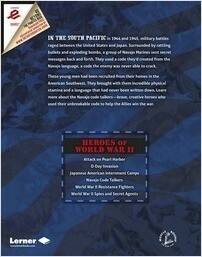 In the South Pacific in 1944 and 1945, military battles raged between the United States and Japan. Surrounded by rattling bullets and exploding bombs, a group of Navajo Marines sent secret messages back and forth. They used a code they had created from the Navajo language, a code the enemy was never able to crack. These young men had been recruited from their homes in the American Southwest. 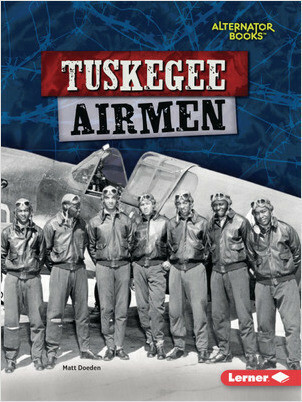 They brought with them incredible physical stamina and a language that had never been written down. Learn more about the Navajo code talkers—brave, creative heroes who used their unbreakable code to help the Allies win the war. 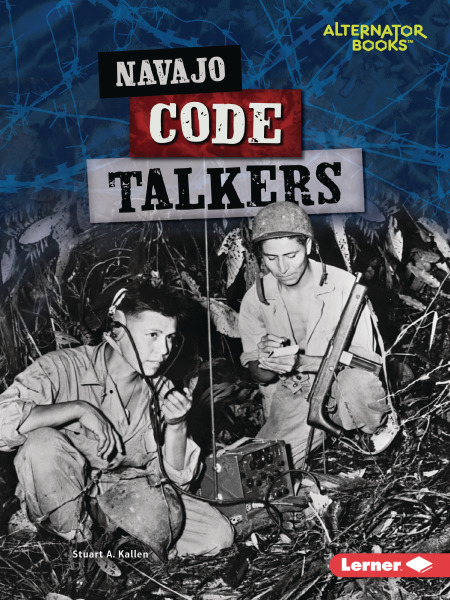 In the last two years of World War II, the United States Government employed Navajo Marines to create a coding system that was quick and efficient. With the help of these code talkers, the U.S. was able to gain control of important islands in the Pacific that helped to win the war. There efforts went unrecognized publicly for many years, in case there code needed to be used again, but in the late 1960’s they were finally honored. 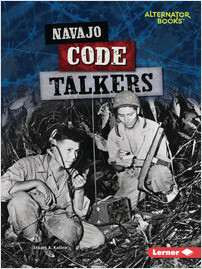 This is a fun and interesting look at Navajo Code Talkers. It gives the list of words and explains how the code was used. There are interesting pictures throughout and side stories of specific men who were Code Talkers. There is a timeline and list of other resources at the end. ‘Navajo Code Talkers,’ from the series Heroes of World War II, tells the story of the successful communications of the Navajo code talkers, in the US marines, during World War II from 1942 through 1945, in the Pacific theater. This exciting true story of a Marine core of Navajo code talkers played a pivotal role in the military victory at Iwo Jima in February, 1945, as well as in earlier South Pacific battle engagements between the U.S. and Japan. Commanded to keep secret their crucial role in the Pacific theater for over 20 years, the Navajo code talkers program was finally declassified and the code talkers were allowed to tell their story and to receive honors and Congressional Gold Medals for their brave deeds. On the back of the medal was written, ‘With the Navajo language they defeated the enemy.’ Much more history and details about Navajo heroes is included in this excellent source of the contribution of the Navajo code talkers to the Allied victory in World War II. Also Included is a timeline, source notes, a glossary and suggestions for further information, plus photo acknowledgments. Middle grade and junior high readers will find this volume accessible and exciting to read. 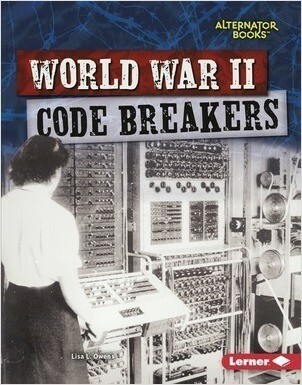 Also highly recommended is this title from the series by the same author: ‘World War II Spies and Secret Agents’ (9781512486421, $27.40 Library Binding, $4.99 Kindle, 32pp).